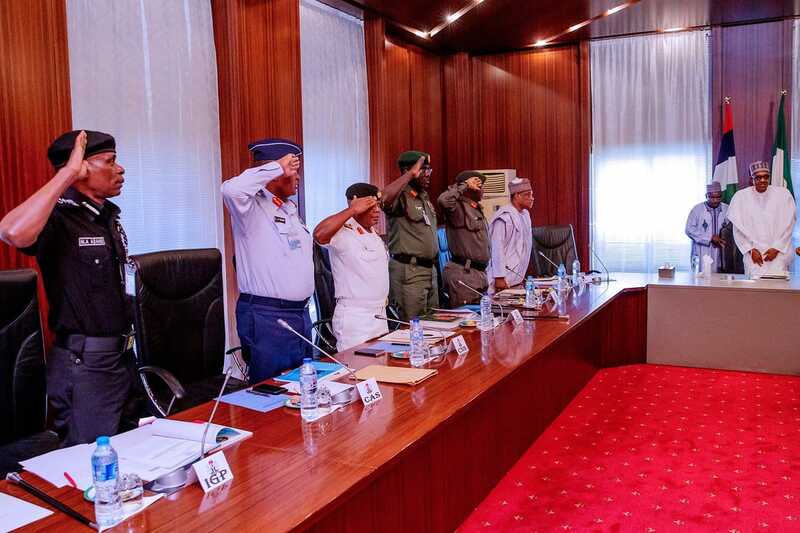 President Muhammadu Buhari on Tuesday, March 19 presided over routine national security meeting with service chiefs and heads of security agencies in attendance. According to The Nation, the meeting started at the president’s office in the State House around 11am on Tuesday, March 19. According to the report, discussions at the meeting would likely dwell on the security situation in the country and how to ensure maximum security in states where the Independent National Electoral Commission (INEC) is conducting rerun election on Saturday, March 23. The meeting was still in progress as at the time this report was published.